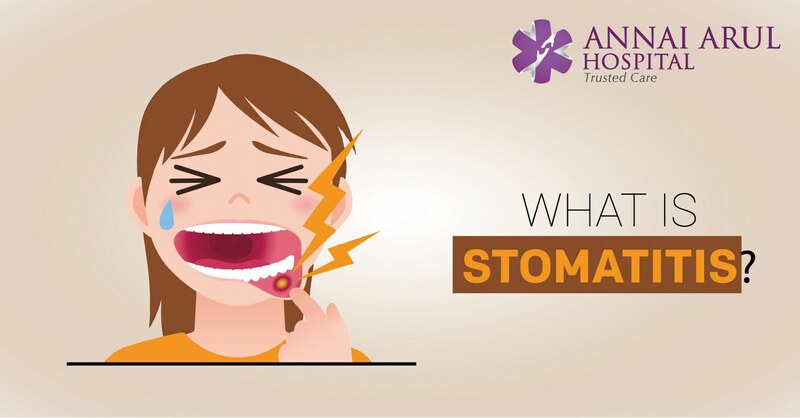 A condition where the mouth is inflamed and sore is called Stomatitis. It can prevent a person from eating, talking and even sleeping. Stomatitis can occur anywhere in the mouth, it is seen affecting parts like the cheek, gums, tongue, lips and the palate. What are the types of stomatitis? According to the nature of the sore, stomatitis can be in varied types. Even though they all cause the same result of pain and discomfort their physiology and healing time etc. may differ. Cold Sores: These are commonly called as fever blisters. They are filled with fluids and occur around the lips. These kind of sores rarely form on the gums or the roof of the mouth. Cold sores later crust over with a scab and give some sort of tingling sensation. They give a tender feeling and burning sensation before the sore actually appears. Canker Sores: These are also known as aphthous ulcer. It is single pale or yellow coloured ulcer with a red outer ring. They may be single or a cluster of such ulcers. They occur in the mouth, usually on the cheeks, tongue or inside the lips.